Old Bike Mart, The Classic MotorCycle, Classic & Motorcycle Mechanics, Classic Racer & Used Motorcycle Guide. the Best Harley-Davidson trophy for the custom show and will have a big presence there too. The County Showground, Winthorpe Nr. Newark, Nottinghamshire. 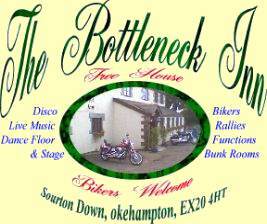 Any Event - Anywhere in the World that may be of interest to Harley-Davidson riders and any other motorcyclist, 2 Wheels is 2 wheels, we all started somewhere, my first ride was on an ex WWII ARMY BSA in the late 50's, I was the only one daft enough to bump start it, I was too young to kick start a 500 single.